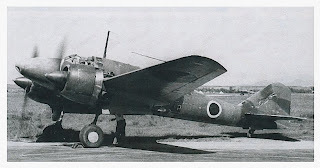 Here is the photograph of an 18th Dokuritsu Hiko Chutai (DHC - Independent Flying or Flight Squadron) Ki-46 believed to be the basis for the LS box art (and numerous profiles). 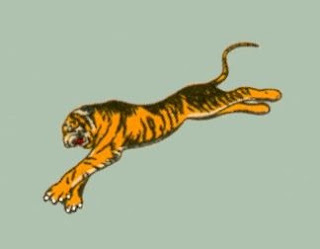 On the original print the dark patch of camouflage on the tail appears to have thin borders of a lighter colour. 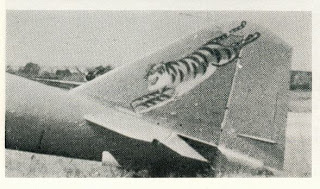 Note also the size of the tiger on this aircraft and compare it with the size of the tiger as painted on the uncamouflaged Ki-46. 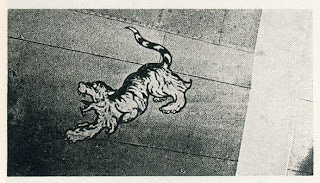 The original "Chinese-style" tiger painted on the fuselage of a Ki-15 just forward of the senchi-hiyoshiki or so-called "combat stripe" is also shown, together with the tiger "running in the skies" design subsequently painted on the tail of a camouflaged Ki-15. 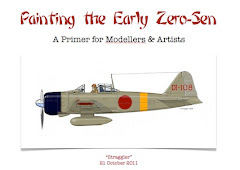 The final image shows the Airfix "Esso" tiger; splendid but not very much like the originals! 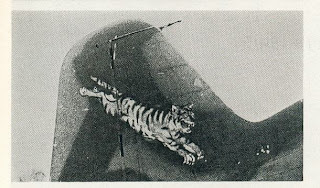 Compare and contrast it with the photographic images of the tigers. 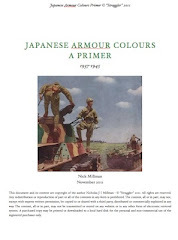 What amazes me the most about the study and interest of Japanese colors and markings is that any one facet of the topic (say IJN tail codes, the "China scheme", Sentai markings....) can be a specialized study on it's own merits. 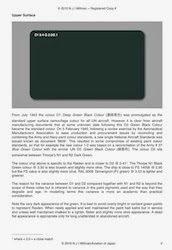 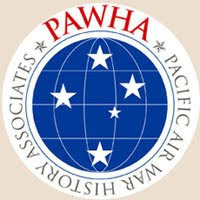 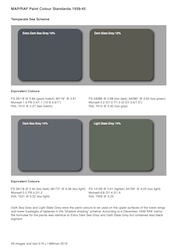 IMHO these "China colors" are the most handsome of the entire conflict....right up there with the rich colors of the Regia Aeronautica.